Bitter~Sweet ™: The wisdom of Thumper . . . The wisdom of Thumper . . . When I was little, the first movie I ever saw in the theaters was Bambi. (Or maybe it was Pinocchio, but I'm pretty sure it was Bambi so let's go with that. And no, it wasn't the same year it was released - thankyouverymuch.) Anyway, there are great lessons to be learned from the movies of our youth. In the case of Bambi, it was Thumper who taught me the most important of lessons. "If ya can't say nothin nice, don't say anything at all." I read a blog post this morning in which a fellow diabetic was remembering back to a particularly bad morning when he woke up with a blood sugar over 300. He shared how hard it was on him physically. And what a delicate balance it is to correct a high without over correcting and ending up way too low. 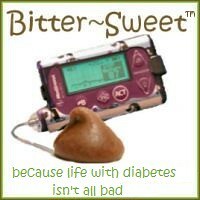 I think any Type 1 diabetic can understand, because we've all been there ourselves. Imagine my shock when I opened the comments and saw a particularly ignorant and nasty one had been left. 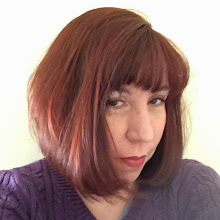 This person called names and insulted the blogger. The definitely didn't "say nothin nice". Don't get me wrong, I believe in freedom of speech. I believe in gentle constructive criticism that can help a person. That comment didn't have anything constructive or helpful in it. As diabetes bloggers, we put ourselves and our disease out there. The good and the bad. The triumphs and the failures. All on the web for the world to see. The Diabetic-OC has helped me find friends who understand this disease I cope with every day, because they cope with it too. None of us asked for it, and we make the best of it that we can. I appreciate the support my D-OC friends give me. I hope my posts can be helpful to others. I am thankful for the comments I get, for advice or understanding. But please, when surfing though blogs, diabetes blogs or any blogs, remember the comment you send into the vast internet is received by a real person with real feelings. And just maybe, if ya can't say nothin nice, don't say anything at all. I hear ya! I read the idiotic comment on our friends blog and I was infuriated! People can disagree, they have every right. Like you,I'm all for freedom of speech. But to be down right nasty, mean,& so obviously ignorant is inexcusable in my book! I love the D-O-C,& feel loyal and extremely protective of all my friends here. I find comfort,humor, and acceptance in their words - YOURS included. There are a lot of interesting people out in the internet, so we'll get this kind of thing every now and again. The love and support in the D.O.C. totally overwhelms any of the negativity that tries to pry in. Hello, Old Friend . . .
How NOT to do an infusion site change.